Marketing tech holding business CM Group has acquired personalization and targeting firm Sailthru and B2C e-mail solutions firm Liveclicker. Terms of the deals were not disclosed. Sailthru's proprietary software tracks web site, e-mail, mobile and social media use, as well as off-line behavior, while developing an interest profile for each unique customer, for use in targeting and optimizing marketing campaigns. Liveclicker is used to personalize content for e-mail openers, based on live customer context. Both companies will now join CM Group's portfolio of companies, which includes personalized e-mail campaigns specialist Campaign Monitor; e-mail marketing firm Emma; and marketing automation business Delivra. The deal adds $60m in revenue and 540 new customers to the group. 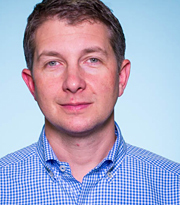 Wellford Dillard (pictured), CEO of CM Group, says the company's vision is 'to be the most respected, fastest growing family of marketing technology companies in the world'. He comments: 'Sailthru and Liveclicker are extraordinary technologies capable of solving important marketing problems, and we will be making additional investments in the businesses to further accelerate their growth. Bringing these brands together makes it possible for us to provide marketers with the ideal solution for their needs as they navigate the complex and rapidly changing environments in which they operate'. Web sites: www.cmgroupglobal.com , www.sailthru.com and www.liveclicker.com .